I’ve been racking my brain for weeks trying to remember the name of a book I read as a child and for the life of me, I can’t remember the title. So, I’m hoping some of you out there might be able to help me out (I’m looking at you Amazing Children’s Librarians!). It was a chapter book I used to check it out of the library in the mid-80s. It was a hardback book with no paper cover over it. 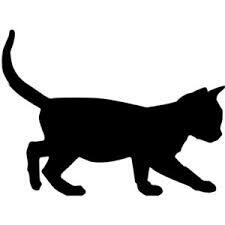 In the middle of the front cover was a black cat like a porcelain figurine. The story was about two little girls who were best friends. One of the girls’ family was going on a European vacation and she invited her friend to go with them. In the destination airport, a bad guy smuggling something dropped a porcelain black cat into one of the girls’ backpack to get it through customs. The bad guy loses the girls when they leave the airport before him. At some point on the vacation, the girls discover the figurine and play detective trying to find the rightful owner, getting into mischief along the way, completely unaware that the bad guy is trying to find them too and that they might be in danger. That’s really all I remember, but this book has been teasing the edges of my memory for a few weeks now and I’d love to rediscover it. I’m sure a children’s librarian would know exactly which book I’m talking about so I’m crossing my fingers that one of them will see this post. Any information is appreciated!